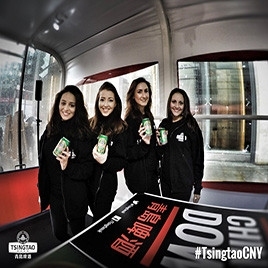 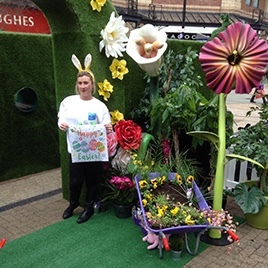 An extraordinary Easter activation to appeal to families and children. 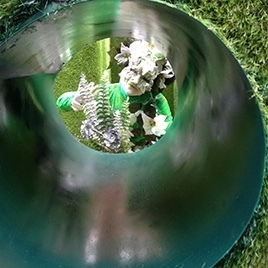 We created an amazing Secret Garden Maze in the centre of Middlesbrough. 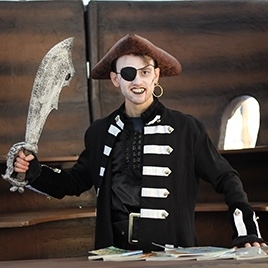 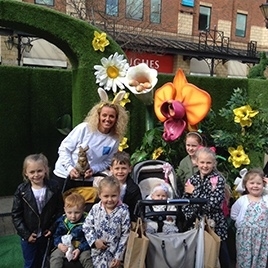 The maze was live between 11th to 15th April to coincide with the school holidays, and featured an eclectic mix of activities and store participation. 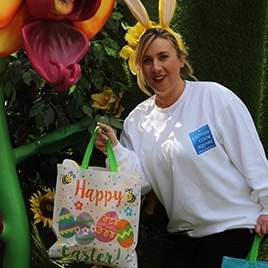 An Easter Trail was carried out with clues hidden around the centre, and chocolate giveaways were provided by local chocolatier Chocolinis for the visitors. 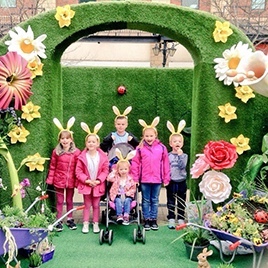 Easter bunny ears were also given out to local children, providing excellent photo opportunities and social media participation. 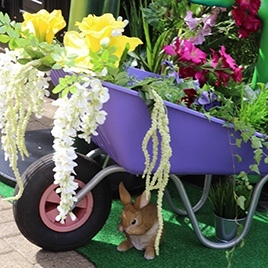 The maze was decorated with larger than life flowers, photo ops within the structure such as a selfie hole, and all sorts of furry critters from grass and fluffy rabbits to ostriches. 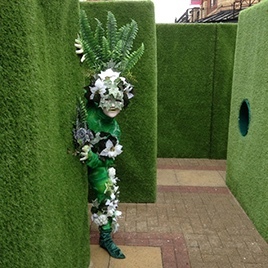 On the Friday and Saturday we provided a flower person performer who remained in character throughout each day, dressed head to toe like an elaborate plant, jumping out and giving visitors a fright before posing for photos. 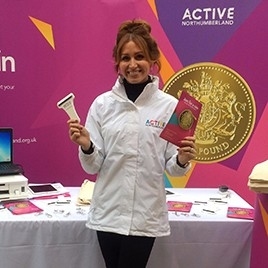 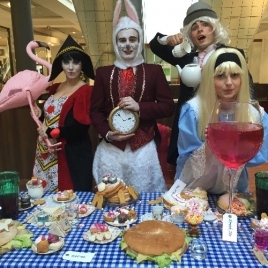 The event was totally free of charge which was met with plaudits from the locals, it also received coverage from local newspaper The Evening Gazette in The Top 5 Things to do in the North East in Easter. 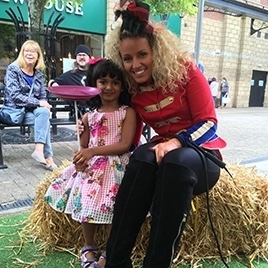 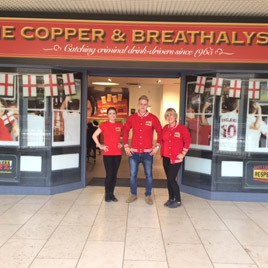 Our staff had meaningful interactions with over 6,000 people in Middlesbrough.